Christine Upton –otherwise known as the person who sips, samples and spiels with locals all over the world to curate Trafalgar’s exclusive Be My Guest experiences shares her stories from breaking bread with Poppy Salinger in the south of France to sampling home-grown wines in a castle in Tuscany, it’s these truly authentic moments that keep guests travelling with Trafalgar year on year. Trafalgar’s Be My Guest programme started back in 2009 in Sorrento, Italy with Mama Esposito and her delicious limoncello. 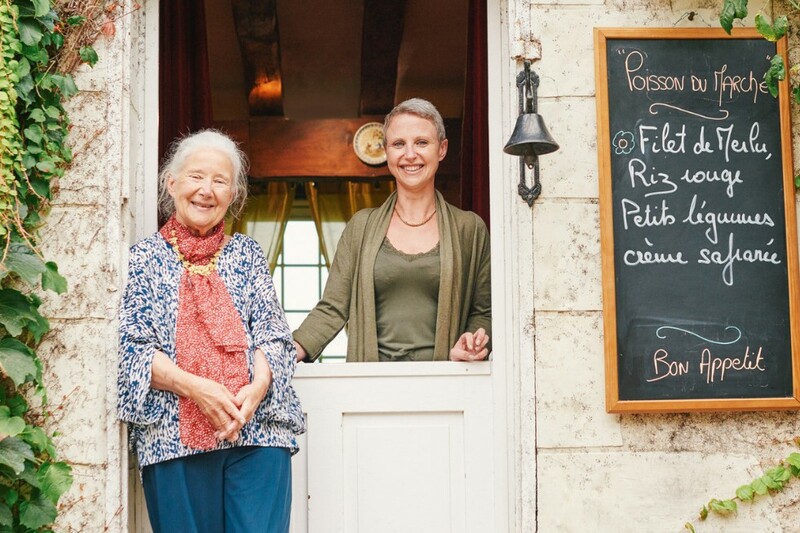 The entire concept was introduced as a way of ensuring that Trafalgar trips had experiences in which guests could interact with local people – a chance to not only see the destination through a locals’ lens, but to help support small businesses and keep local traditions alive. It was Mama Esposito’s warm nature and openheartedness that set the precedent for the Trafalgar-exclusive experiences for years to come, Christine explains. With every host that Trafalgar works with, there’s a different story to tell. Take Poppy Salinger, owner of an upmarket Bed and Breakfast near Luberon in the south of France and the widow of Pierre Salinger, the personal advisor to John F. Kennedy (and later to Bobby). Poppy shares many wonderful stories with guests about the people she’s met over the years – not only the Kennedys, but noted personalities like Ava Gardner – which makes for a unique and exciting glimpse into her world. It’s not just the rich stories of the Be My Guest hosts, but their real warmth that makes you feel instantly welcome. 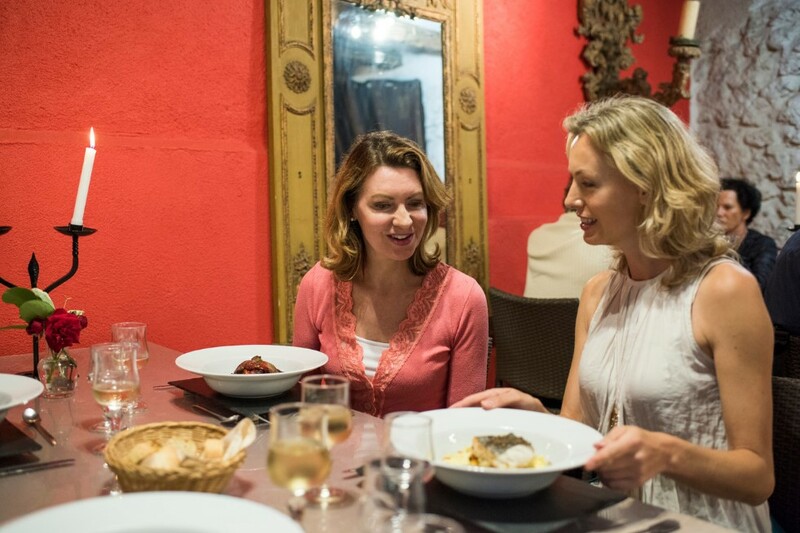 Italians, for example, have a history of hosting – it is embedded in the very essence of their culture with agriturismos, which is essentially a farm designed to accommodate guests for a meal or to stay. Similarly, in France there is a system that has been in existence for years known as table d’hôte whereby you stay and have dinner with your hosts. It’s this willingness to open their homes that is felt by all guests – not to mention it’s a positive step in combating over-tourism. Locals want you there and have everything set up to cater to your needs, Christine explains. On every Be My Guest experience, you have exclusive access to locations that are brimming with history and jam-packed with character as distinctive as their hosts. Castello del Trebbio, a Be My Guest site in Tuscany, Italy was built in 1184 by the noble Florentine family known as ‘Pazzi’. In 1478, within the castle’s very walls, an infamous plot took place to kill members of the rival ‘Medici’ family. Guests can pay homage to the story of the conspiracy in the ‘Conspiracy Room’ over a glass of local Chianti. The rich tapestry of Castello del Trebbio’s history is felt throughout the estate, from its rustic farmhouse villas down to the way wine is produced in line with the stars. It’s homes like this that makes Be My Guest so special, Christine explains. Not only do guests have the chance to explore historical sites like Castello del Trebbio, but the hosts themselves have a chance to explore other walks of life. Many of the hosts have never travelled in their lives, and will never get the opportunity to – thanks to Be My Guest, the world is brought to them. Christine tells of a host in Groningen, Holland whereby his son now lives on a dairy farm in Australia. With every Australian Trafalgar guest who visits his property, he can pass on messages to his son. In many ways, this is just one example of how Be My Guest experiences are helping the world stay connected. A huge thank you to Christine Upton for sharing her insider knowledge on the world of Be My Guest. To join an exclusive Be My Guest experience with Trafalgar, take a look at our trips here.